We all heard about the Law of Attraction or the power of the Universe and how it arranges itself according to our way of thinking. We all have our own intense desire to achieve something and most of us work hard for it so we can grasp all of it and be whoever we are and whatever we want. The rule of the Law of Attraction is to Ask and Believe that we are going to Receive it. Some say just believe it is going to happen, and to some say claim it to receive the desire of our hearts. For most Christians, there are parts in the Bible that support this theory. The most famous one is Mark 11:24 that says “whatever you ask for in prayer in my name, as long as you believe you already have it, you will receive it!”. Most writers wrote their books to accommodate non-Christians and even those who do not believe that there is a supreme being who grants and hears our prayers. So they focus their medium to the Universe (which is God for Christians and Jews) as the one who grants the desire of our hearts, thereby telling us that whatever we give out to the Universe, the Universe will definitely grant our desire. Applying the Law of Attraction is both hard and easy. It is hard because we really have to focus on being optimistic all the time. We have to stay focused on the positivity without getting distracted by the negativity that surrounds us. One great example is when you get caught in traffic and you are running late in getting to a very important meeting. How can you avoid the stress that causes negative vibes? As I said earlier, it is easy because all you have to do is to just have a positive outlook on life and see only the good things by avoiding “stuff” that will make you think of the bad things. The easiest part of starting your day with an optimistic outlook is to be grateful and thankful. Just like all devout Christians do, they start their day with a short prayer of gratitude. That is the key, to be grateful for every little thing, like being thankful that you have just woke up, to be thankful for this new day, to be thankful that you had a good sleep, to be thankful that you have shampoo to clean your hair, toothpaste and toothbrush to clean your teeth, etc. You will notice that you will feel better because you are being grateful. This will start to attract good vibrations. The Universe can sense that you want to start your day right and it will align itself to give you all the favors you are anticipating for that day. Start everything right is also the key to attract everything nice. Waking up early when you have an important thing to do will attract good vibes. The Universe will see your desires/intentions and, since you started the day right, the Universe will make everything right for you. Again, you receive what you give. Another aspect where the Law of Attraction really works is in relationships. You must give love in order to receive love. The intention must be genuine and not have adverse effect on anyone nor cause harm to anybody. You should start with yourself by loving yourself first and filling your heart with love. You should make this love overflowing so that the Universe will see you have so much to give and will start to align things in your favor. Be very specific and real when you wish to have someone in your life, like the kind of person whom you want to be with. Put yourself in that situation where you will find the right person you are wishing for. Be very specific and focus on that, never let yourself be distracted with selfishness. Instead, think good so that you will receive the good and never doubt, because doubt can derail your thoughts. I know it is hard because the “what if” and “but” will try its best to squeeze in. That is actually the devil trying to dissuade you from your genuine desire and, when it wins, you will feel regretful and blame yourself and others for not achieving what you want/ That is definitely a negation. This applies to any situation or condition. For example, when you want a kid for yourself. If your desire to have a child is really intense, do not doubt that you will have one and stay focused on your goal to have a baby. Again, you need to be specific on your desire. For instance, if you want baby boy with blue eyes and blond hair, this will happen but you will need to attract it. Prepare for it by putting yourself in that situation where you can actually feel and see you are holding the baby in your hand. Prepare a nursery or baby room. Work for it! That baby will not just come crawling in your door – you have work for it. Thus, the desire must be strong. 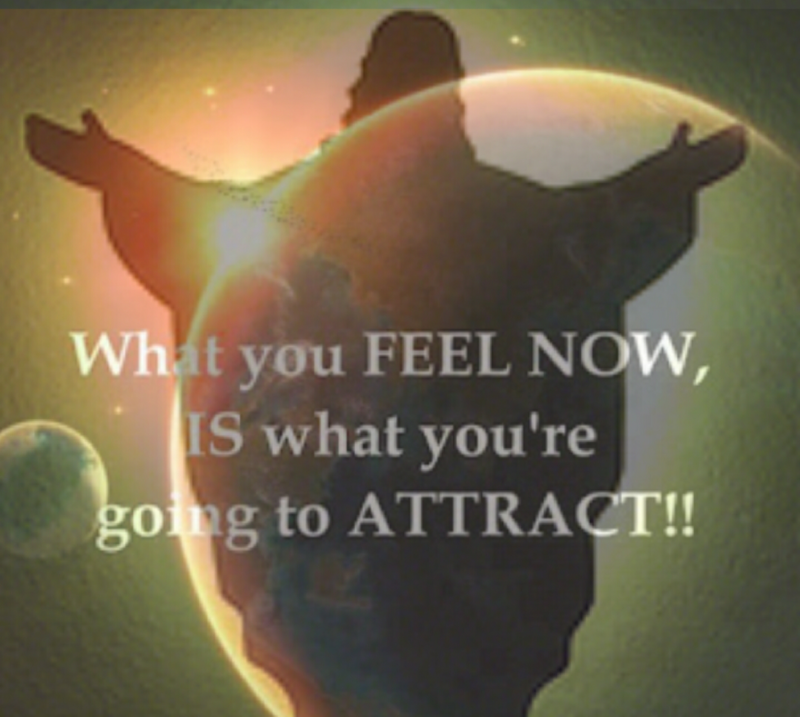 Do something to attract it! But remember the rule, it must be genuine and will not cause anybody harm nor hardship! And then, the Universe will grant it and will align itself and make a way for you to receive the desire of your heart. I remember someone who wants to become a new person and to have a new identity. His desire was to live as an American, to have an American sounding name, to live as an American. That is what he has been longing for ever since he was young. His journey with the Law of Attraction started when he decided to migrate here to the US. He wrote down all the things he wants to happen and made a journal as if it was already happening. He wrote down everything, like his excitement when applied for a US visa, his anticipation of the interview, and the happiness he felt when he got approved. The day he received his US visa in the mail and how it feels to have the visa stamped in his passport, all these was written in his journal up to the time when he took oath as a US Citizen and the changing of his name to an American sounding one. All these things happened and when he went back to his journal he was so delighted that everything happened according to how he wanted it to happen. Now he is living the life he always wanted and it is all because he asked for it and believed from the start that what he wants was already happening. If you can dream it, you can have it. Be persistent, think of it everyday, and be thankful that it was already given to you. Be thankful that you already have it, feel it, experience it, and live it. Don’t think of what other people will say as long as it does not adversely affect nor harm them. Meanwhile, continue living that life and you will soon realize that you are already in that state. Most Christians pray to God when they desire something. This is what the Law of Attraction means to them: God is the maker of the Universe. God is the Universe. And, above all, God is love. God provides the desires of your heart. As long as you earnestly pray for it, He will grant your wishes. Just like what Jesus says in Mark 11:24: believe that you already have it and you will receive it. Pray intensely because, in prayer, you can not think ill of other people nor pray for someone to die or get into an accident. Prayer has always been to make you think good things and be grateful. When you do this, the Lord will be delighted and He will grant the desire of your heart. That is why it is not bad to be thankful right away for the blessings. It is not being presumptuous because your faith is so strong and your intention so pure that you know God will give it to you. Have you noticed that, when you are in love, everything seems so nice and wonderful? And that everything seems easy and possible? This is because it is true that, when you have love in you, all things are possible. Of course, that love is also selfless. The cliché or phrase “Love conquers all.” is definitely true to its sense. This unexplainable feeling of happiness and contentment is the grantor of all desires. When you have love in your heart, you attract good things. You feel energized and inspired to achieve your goal. Yes, of course you have to work for it, but because love is in you, you can easily attract good things and good vibrations. You are very positive, optimistic, assured, encouraged, confident, hopeful and idealistic. You always feel lucky and happy when you are in love and that attracts everything in becoming a reality. That is why most people who follow and apply the Law of Attraction in their lives are grateful and have the love in them. Loving and being grateful is part of ones life and existence because this is what makes them believe that everything they ask for has been already received. Always remember to CLAIM it! Please share your Law of Attraction story on the comment section below or email it to mistercmt@mistercmt.net and I will pick the best story and win The Secret by Rhonda Byrne. I have my own story of the power of the Law of Attraction. Can I email it to you? Yeah sure email it to mistercmt@mistercmt.net and I will post it and be a part of the blog.